Following on from ‘Intoxicate’ & more recently ‘Human’, Adassiya unveils the final single taken from her EP. Vocal driven with bass heavy vibes – ‘La Vida’ see’s proceedings closed out in fine & fitting style. Behind an amalgamation of Eastern & Western cultures, conceals a sensitive artist & one that lets her creativity speak directly through her writing. Real name Anissa Stili, Adassiya began her musical career as a singer in her teenage years & saw her recording a debut album with major label, Warner Music. Following on from this, Adassiya toured the globe with the revered french musical The 10 Commandments, allowing her to discover the riches of the world first hand & further expand her artistic mind. Originally coming from the hip-hop scene, Adassiya found herself in an enviable position of collaborating on multiple projects with some of the most respected rappers of her generation & in 2014, she embraced a new found passion & started to DJ. With this, Adassiya also embraced a feeling of freedom & ability to share her art with an audience – since having graced the likes of Paris, Cannes, Berlin, Dubai, Lebanon, Istanbul, St Barthélémy, Montreal, Tokyo, Seoul & Ibiza with her sound. 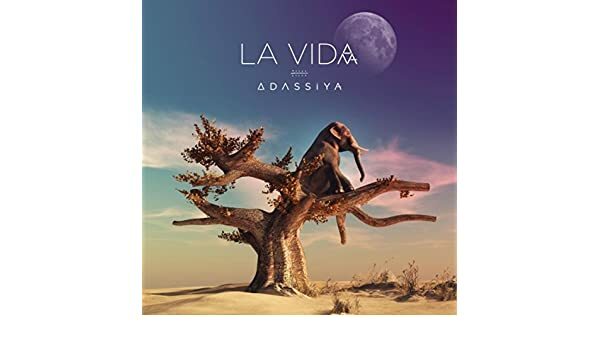 Combining an array of musical elements across Oriental & Electronic music, Adassiya brought them together in unique style across her La Vida EP & has seen the extended player light up globally.